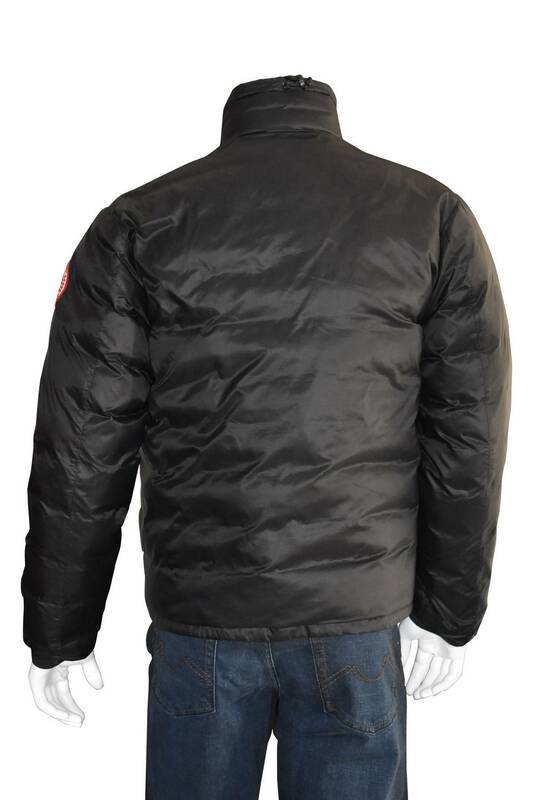 Canada Goose Lodge Fusion Fit jacket in black. Stand color and rib knit cuffs. Chest zip pocket and side slip pockets. 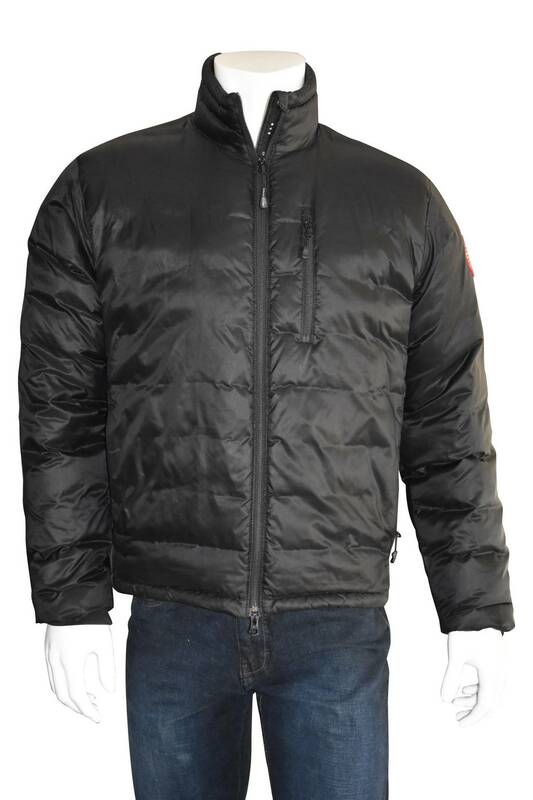 Exposed front zip closure. Duck down feather fill. Logo applique to left arm. Fabric: 100% polyester. Lining: 100% nylon. Filling: 100% down.